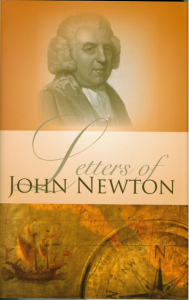 We all know John Newton as the author of Amazing Grace, perhaps the best-known gospel hymn of all time. We also may know him as a converted slave trader who contributed to the English abolition movement in the late 1700s. Fewer may know him as a conservative (though Anglican) pastor of two parish churches during that same time. During his first pastorate in Olney (famous for his “Olney Hymns” with William Cowper), he welcomed a dissenters’ meeting to be held often in his church building. That meeting happened to include William Carey and Andrew Fuller. Even fewer (myself included until reading this book) would know him as a powerful writer of theological and devotional thought. His insight in applying biblical principles to the struggle for godliness is highly unusual in today’s devotional literature. Newton begins with man’s depravity and ends with man’s sanctification. A very satisfying read.